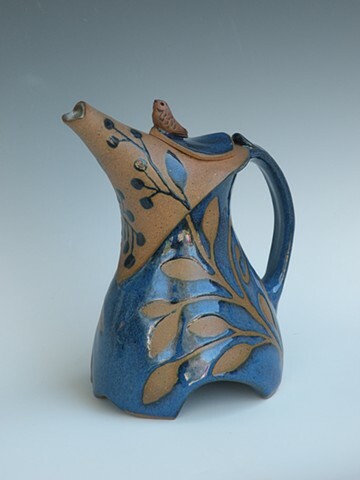 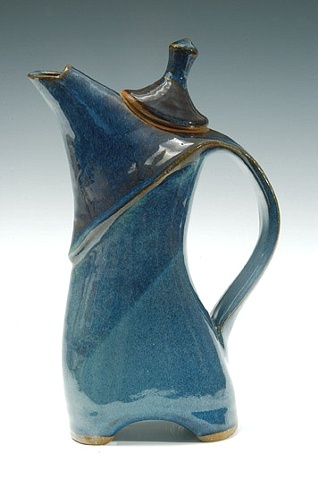 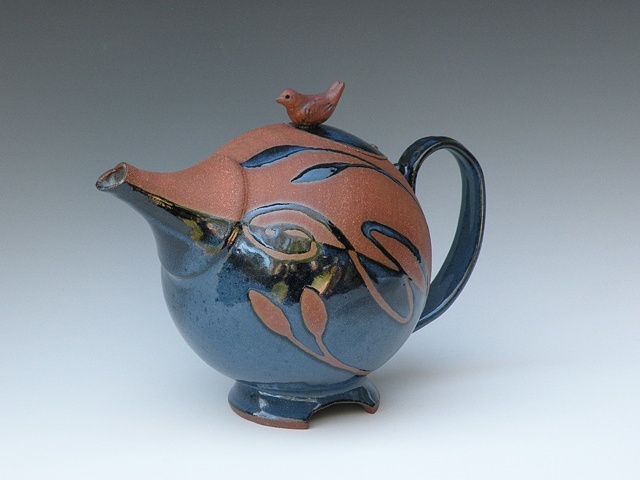 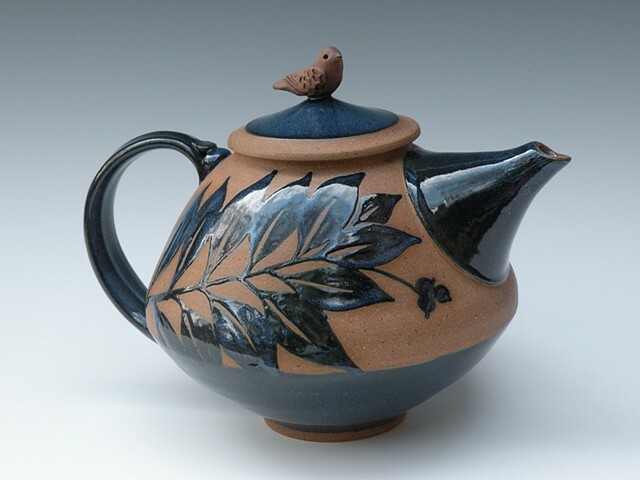 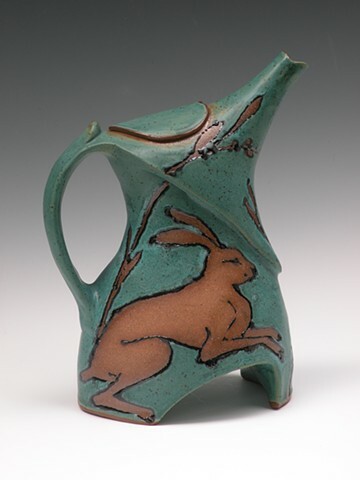 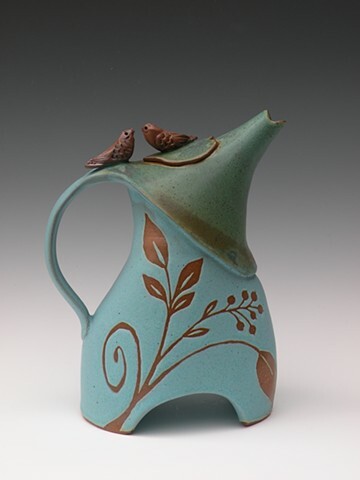 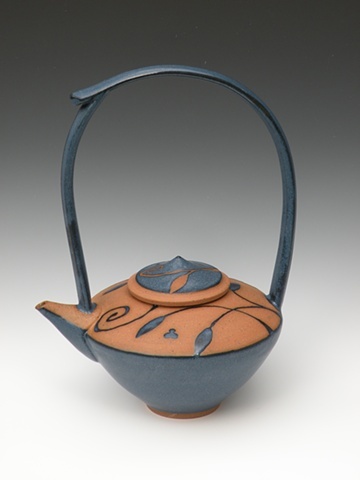 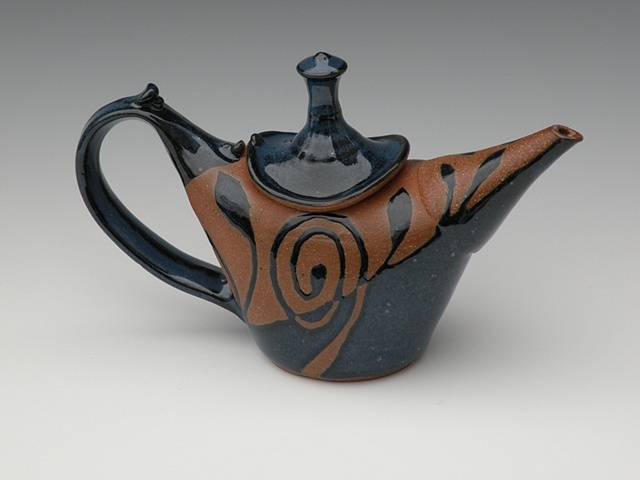 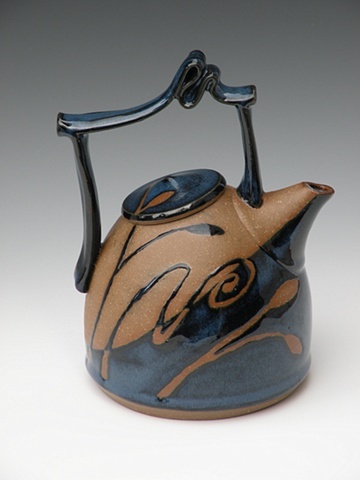 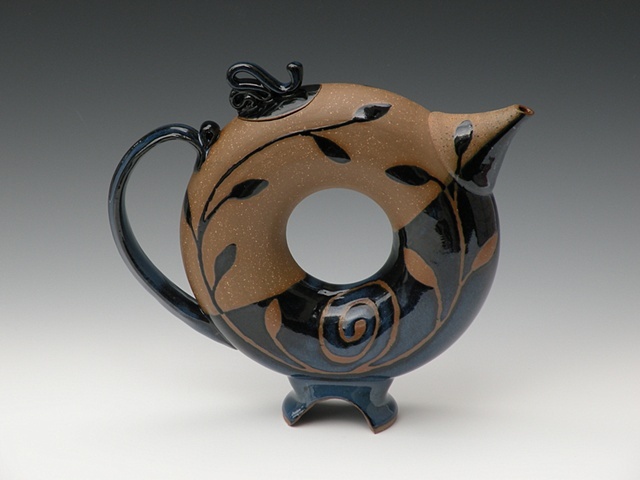 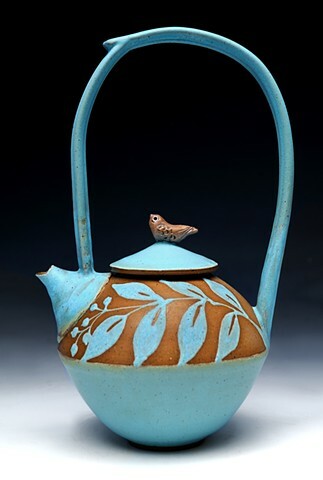 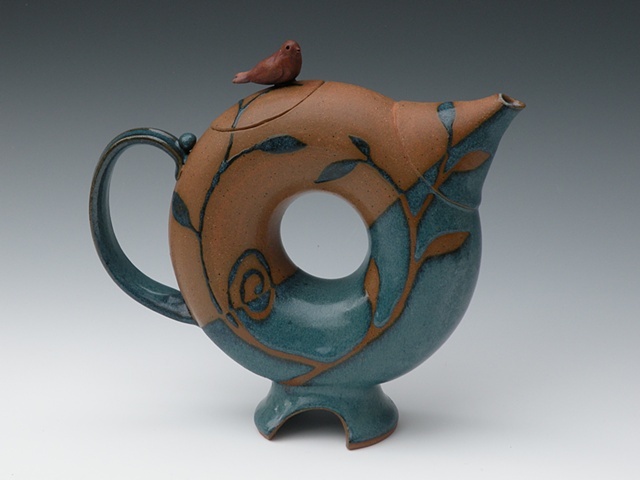 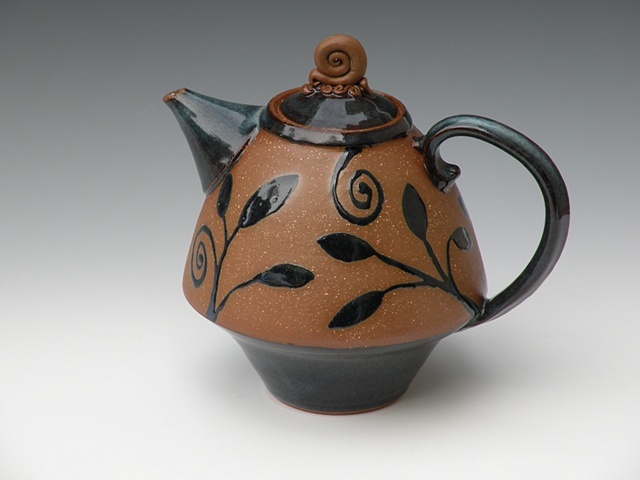 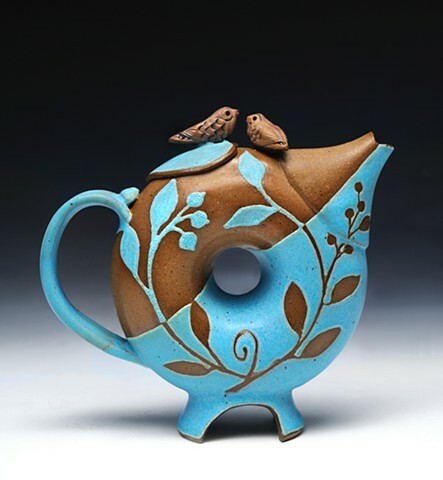 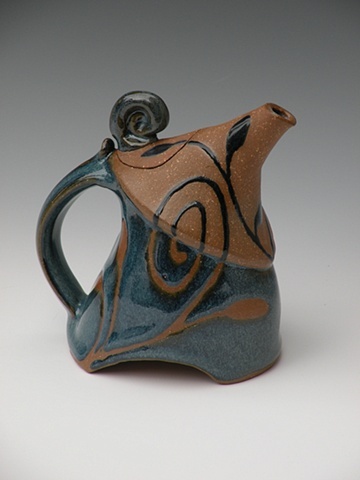 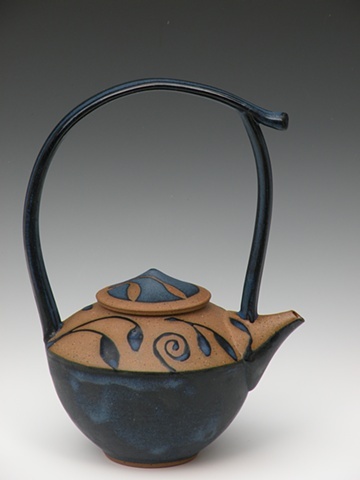 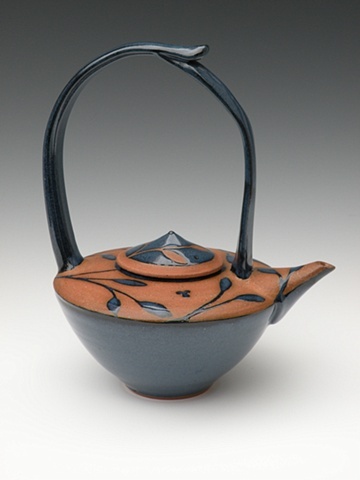 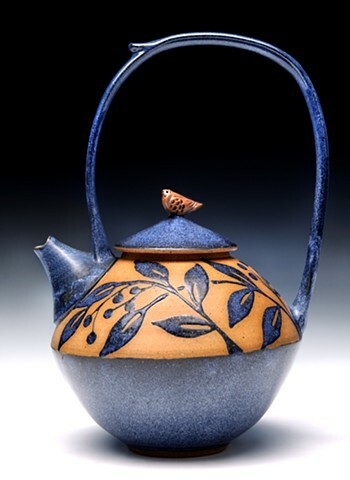 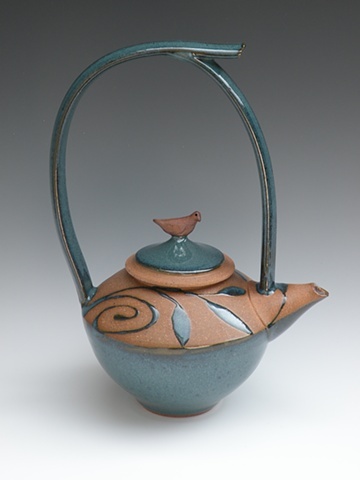 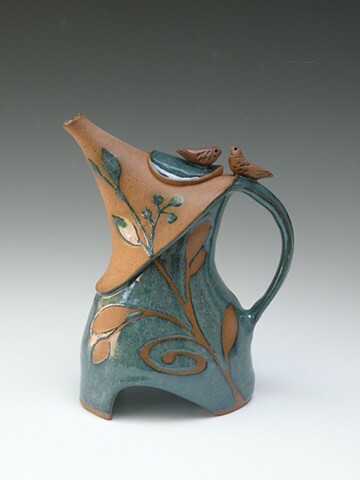 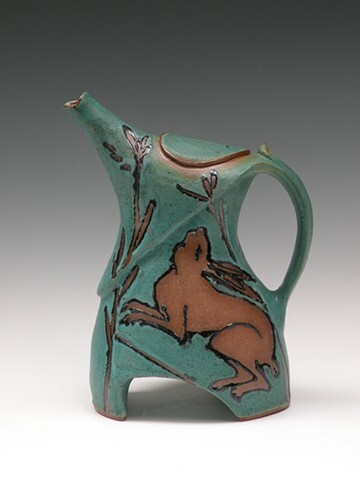 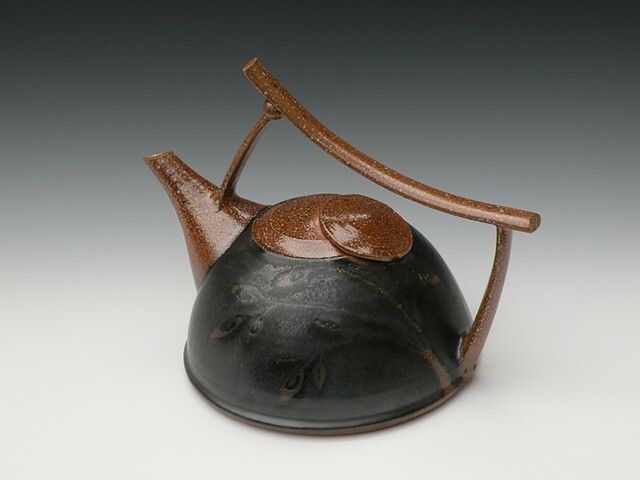 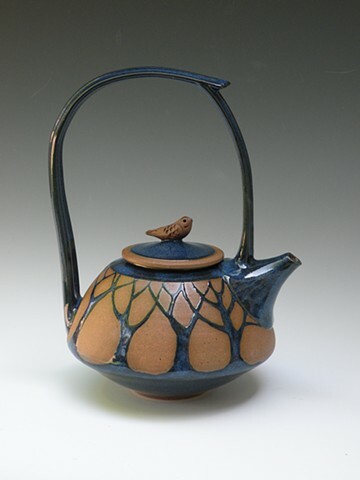 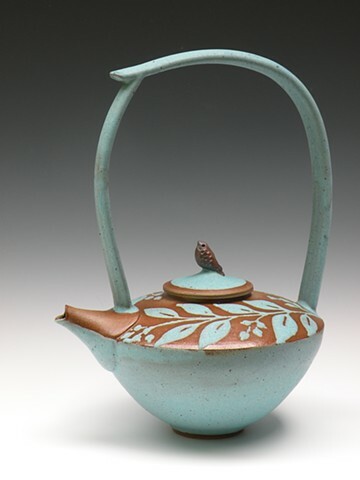 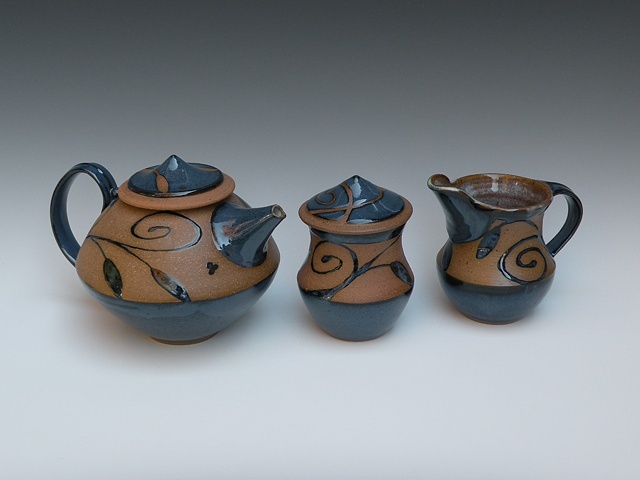 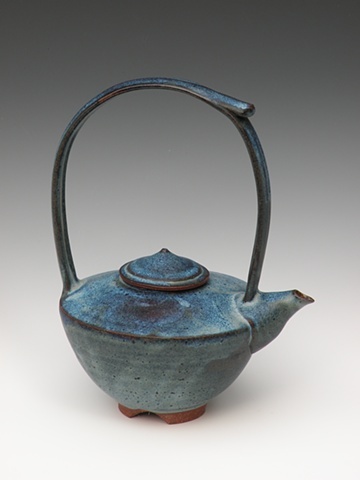 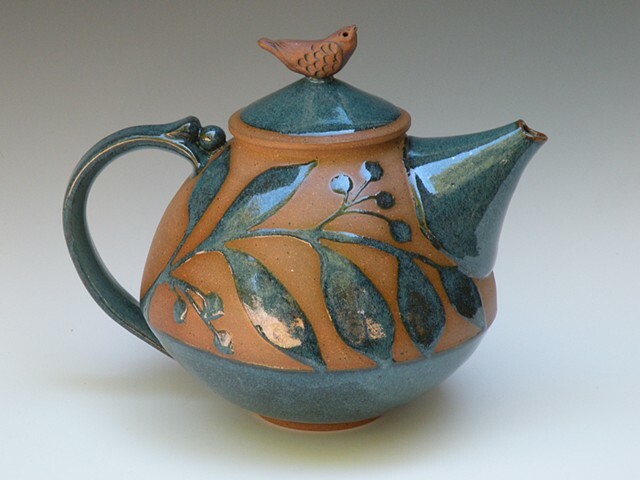 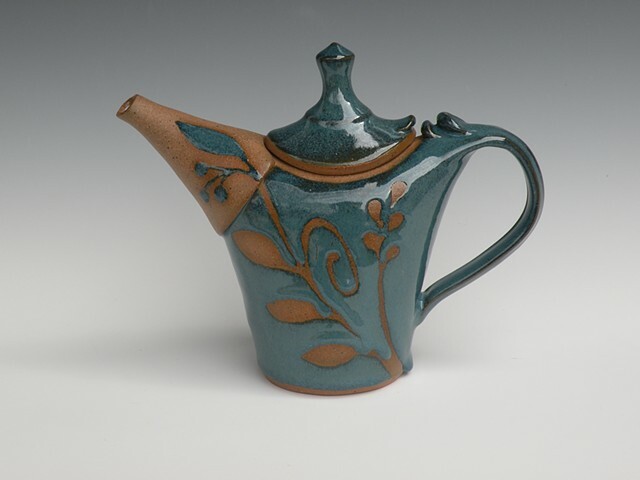 The teapots are all different... they are the forms I enjoy making the most because they present opportunities for design decisions and challenges. 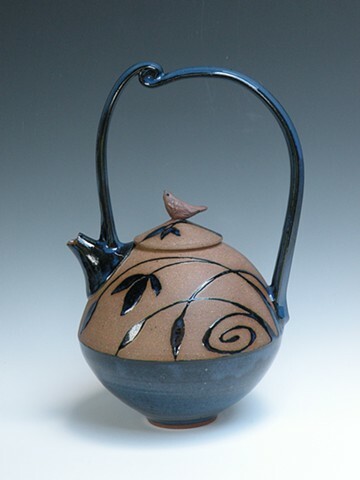 On many of them I use several methods to create areas that are glazed and areas that are not glazed. 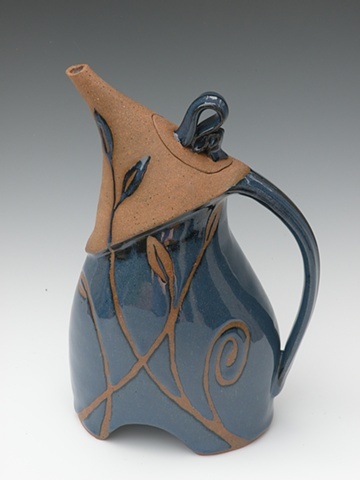 Leaf, vine, and spiral designs cross the divide to create a negative/positive design. 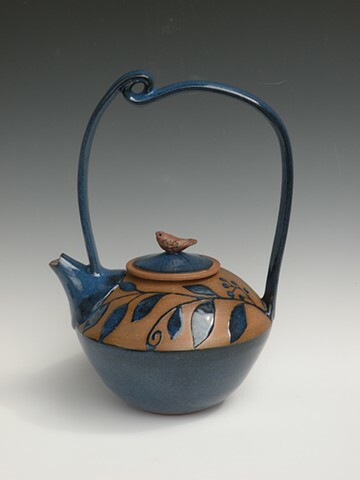 All are glazed inside with a food-safe glaze, so they can be used to steep your tea.